Internet Explorer and AOL are the latest institutions hacked by computer villains. Privacy expert Peter Singer tells us how to protect ourselves. Democratic strategist Ed Kilgore advises progressives to talk less about programs and more about values. And Bill Press interviews Wisconsin Congresswoman Gwen Moore about Gov. Scott Walker and more. 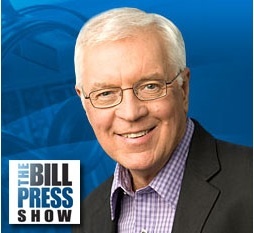 May 4, 2014 Privacy expert Peter Singer on Internet security, Democratic strategist Ed Kilgore on progressive values messaging, and Bill Press interviews Congresswoman Gwen Moore. Peter Singer With Internet Explorer and AOL the latest victims of hacking, privacy expert Peter Singer reveals the biggest threat – our own ignorance. Ed Kilgore Ed Kilgore is a Democratic strategist whose message is fairly straightforward: Talk less about government programs and more about values. Gwen Moore Bill Press and his guests, Congresswoman Gwen Moore and the National Journal’s Matt Vasilagambros. 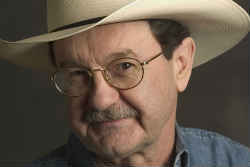 Jim Hightower Some Congress critters deserve a permanent vacation. President Obama has renewed his campaign to fix the American economy by strengthening the middle class. Today, we talk with author Eric Liu, who coined the phrase “middle-out” economics. And political analyst Erica Seifert explains how a new “women’s economic agenda” can help Democrats regain the House, keep the Senate and retain the presidency in the years ahead. And Bill Press talks with John Conyers, the ranking member of the House Judiciary Committee, about the NSA. August 4, 2013 Hear the creators of two new progressive ideas -- Eric Liu on “middle-out” economics and Erica Seifert on a women’s economic agenda. Eric Liu Author Eric Liu coined the phrase “middle-out economics,” which President Obama has adopted. What does it mean? Simply that jobs are created not by business tycoons but by a middle class prosperous enough to demand more consumer goods. Erica Seifert It isn’t just pay equity that’s important to women, says political analyst Erica Seifert. It’s their actual pay. She explains how a women’s economic agenda of higher pay, fairness to pregnant workers and child care are even more important than Medicare to the Democrats’ electoral base. John Conyers Bill Press talks with John Conyers, the ranking member of the House Judiciary Committee, about the NSA. Jim Hightower Message to Robert Rubin: Please go away. Optimism abounds for a progressive agenda after President Obama’s second inaugural address. Law professor Larry Gibson is a biographer of Thurgood Marshall and a Democratic campaign adviser in Maryland. He is optimistic that the president’s re-election signals a more progressive vision for the United States. Our regular contributor, Fred Rotondaro of the Center for American Progress, says the president has learned he has to be tough as nails and will not have to compromise on hot-button Republican issues like the debt ceiling. And Bill Press talks with former Senate Democratic Leader Tom Daschle, who is optimistic about the ability of the Senate to actually work. Jan. 27, 2013 Optimism abounds … on the president’s toughness… on the American people’s commitment to progressive ideals… and on the Senate’s ability to get anything done. Larry Gibson Law professor Larry Gibson talks with us about his new biography of the young Thurgood Marshall, and also about his optimism about the country as a result of President Obama’s re-election. Fred Rotondaro In the glow of President Obama’s second inaugural address, regular commentator Fred Rotondaro says the American public is behind him and the president has learned to be tough as nails. Fred also has a reminder for American Catholics about a recent message from the Pope. Tom Daschle Bill Press and his guest, Tom Daschle, former majority leader, who talks about his optimism for the Senate despite little progress on ending filibusters. Jim Hightower Obama's Inaugural Address: Progressive and Presidential. As President Obama begins his second term, he faces difficult challenges. Former Congressman Tom Allen says one of those challenges is dealing with a Congress whose members look at each other as visitors from another planet. And Latina political analyst Maria Teresa Kumar says gains made in the 2012 elections can take effect only if minority voters and other Democrats show up at the polls in the 2014 midterm elections to retake the House of Representatives. Bill Press speaks with Vincent DeMarco, who says the faith community can be a powerful force in getting more sensible gun laws. Jan. 20, 2013 Visitors from another planet inhabit Congress … and in the real world, a pressing issue for Congress is how to deal with visitors from other countries. Tom Allen Tom Allen is a former Democratic congressman from Maine. He has just written a book about why Congress is so dysfunctional. He says the blame lies mostly with Republicans, whom he says must eventually become more pragmatic if they are to survive. Maria Teresa Kumar Latina political activist Maria Teresa Kumar reviews the 2012 election in terms of minority turnout and warns that Democrats have to gin up their vote in the 2014 midterm elections to win back the House of Representatives. Vincent DeMarco Bill Press and his guest, Vincent DeMarco, says the faith community can be a powerful force in getting more sensible gun laws. 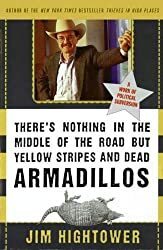 Jim Hightower Let a grunt run the Pentagon for a chance.